It is true that solving game puzzles can highly boost an individual’s brain performance and reasoning skills. Besides, a game that offers an exciting platform for its puzzle gameplay makes the entire experience fun and interactive. 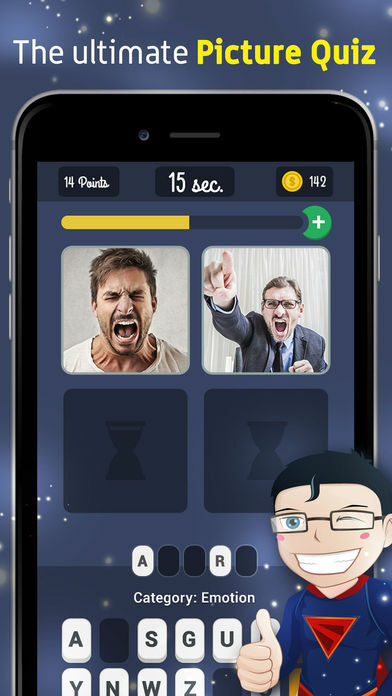 PixSmash is one such game that introduces a trivia-puzzle game where users can use images to come up with the right solution. This amazing game offers its player a chance to challenge other players around the world and determine who the ultimate superhero on the Leaderboard. At the start of the game, 4 pictures are displayed and the player is required to guess one accurate word for the quiz. The response period is timed and thus one has to be fast enough to solve the quiz before the time lapses. Upon completing the quiz correctly, the player gains fantastic rewards and earnings (including the monthly real profits) that opens a chance to other numerous puzzles worth solving! To boost the operation of this game puzzle, the developers have integrated an amazing, intuitive user-interface. This is well-displayed with fantastic animations and high-quality graphics thus making the entire gameplay fascinating. Meanwhile, the game has integrated over 5000 images and more than 2000 puzzles which come along with their solutions. Additionally, it is notable that the quizzes cover a wide range of topics; these include places, activities, colors, celebrities, plants and many others. While solving a quiz, the player needs to reason quickly and generate an accurate solution in time. During the game, the player earns points that can help in winning great rewards, for instance real monthly coupons and smart phones. Actually, the entire experience with PixSmash app game is phenomenal. It also helps the player to improve reasoning and conceptual skills through offering a competitive platform for interaction with other players. This interesting game is perfectly designed to offer an unstoppable experience to its users. Thus, it requires an efficient device to support its functionality well. The current compatible platforms for PixSmash include iPad, iPod Touch and iPhone. Besides, iOS 9.0 or any new version can boost the operation of this app. Apparently, this amazing game comes with a challenging experience where the user can compete with friends and other players from all over the world. This is meant to see who gets into the top of the leaderboard by quickly solving the puzzles in the shortest time possible. Interestingly, one can apply different superpowers to enhance quick solving of the quizzes and thus outwit the opponents. A hint? One can use the Joker to quickly solve the puzzle and earn essential points for winning the challenge. With such numerous quizzes to tackle, this assures the player of an unstoppable gaming experience. On the other hand, the quizzes are accompanied by pictures (over 5000) that enable the user to get some hint on what the expected solution should actually be. Meanwhile, some of the quizzes are quite challenging and it will not only require reasoning skills but also technical know-how. Thus, it is good for the user to be well-acquainted with the category selected. PixSmash app game comes with surprising rewards to its players. At first, the player is rewarded different points upon solving different quizzes within the stipulated time. Additionally, the player stands a chance of winning real profits on monthly basis. This can be obtained if the player can record at least 20 victories while playing PixSmash. Some of the prizes offered include smart phone devices and amazing coupons. Smash and launch fast-word attacks and beat other competitors to be highly rewarded! In some cases, parents can opt to create for their children personal Avatars that perfectly match their reasoning and thinking abilities. With PixSmash app game, this can be made possible in order to make the game accommodative and pretty fun to play. The developers are keen to ensure that each players’ need is met in the best way and satisfaction achieved from the gaming experience. In order to provide a customized experience, PixSmash app game has integrated different categories of quizzes that the player can choose from. Some of the common ones include places, celebrities, plants, colors, concepts, creatures and words. These varied options are meant to give the player diverse options of identifying and naming different actions and elements. Meanwhile, the app can currently be accessed through languages such as German, English, Italian, French, Russian and Spanish. Besides, this game can be shared with friends on social platforms such as Facebook and Twitter through the direct links provided. 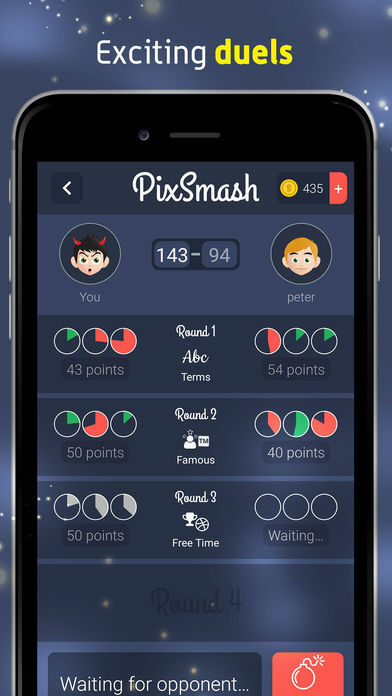 PixSmash app game has taken a unique gaming approach to give its players a chance to boost their reasoning skills while still having great fun. Its great user interface is quite intuitive and offers a challenging experience to the player and other competitors. Other essential components such as numerous puzzles, real earnings and different categories are meant to ensure user’s satisfaction is guaranteed. This is indeed a game that is worth downloading. 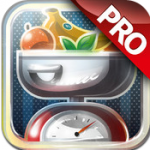 It can currently be accessed on the App Store for free. Grab this opportunity and get it today!